PHOENIX – More than half a million Arizonans rely on the Affordable Care Act, or Obamacare, for their health insurance. But as the debate for replacing the law rages on in Washington, some of these Arizonans are left feeling uncertain about the future of their care. She was diagnosed with colon and breast cancer consecutively in 2000 and 2001. Bannister always had private health insurance until 2009, when her construction business went under, and she could no longer afford it. Her history of cancer only made premiums more expensive. When the Obamacare health care exchanges rolled out in 2013, Bannister immediately signed up and has been on that insurance since, she said. But in the ongoing debate over the Affordable Care Act, critics nationally have pointed to Arizona as a place where the law has failed. Multiple insurance providers have ducked out of Arizona’s federal online insurance marketplace, and the state saw the highest Obamacare insurance premium spike in the country, according to data from the U.S. Department of Health and Human Services. Republicans have released the American Health Care Act, the House bill that would make major adjustments to Obamacare. A Congressional Budget Office report released Monday found that the Republicans’ proposal would cause 14 million Americans to lose health insurance coverage in 2018. By 2026, 52 million people would be uninsured under the Republicans’ bill, while 28 million are projected to be uninsured under Obamacare. The Republican bill would also decrease the federal deficit by $337 billion over the next decade, the CBO found. The day before President Donald Trump made a speech to a joint session of Congress last month, he acknowledged that replacing Obamacare was no easy feat. 1. How does Obamacare work? The Patient Protection and Affordable Care Act was passed in March 2010, and most of its provisions took effect in 2013 and 2014. It required states to set up online health care exchanges where people could buy health insurance. If the states decided not to create their own exchange — like Arizona — they would use one provided by the federal government on Healthcare.gov. If a person’s income is low enough, he or she can receive tax credits from the government to help pay for insurance through this marketplace. There are several tiers of coverage each person can choose from. If someone meets a certain income threshold, they are required by law to purchase health insurance. This provision was designed to urge healthy people to sign up for the exchange to even out the cost of insuring sick people with more expensive medical bills. The law also prohibited insurance companies from turning down people with pre-existing conditions, who are often expensive to insure. The current Republican bill would not remove protections for patients with pre-existing conditions. But Steve and Laura Gomez of Gilbert are especially concerned with the possibility of this provision changing in the future. 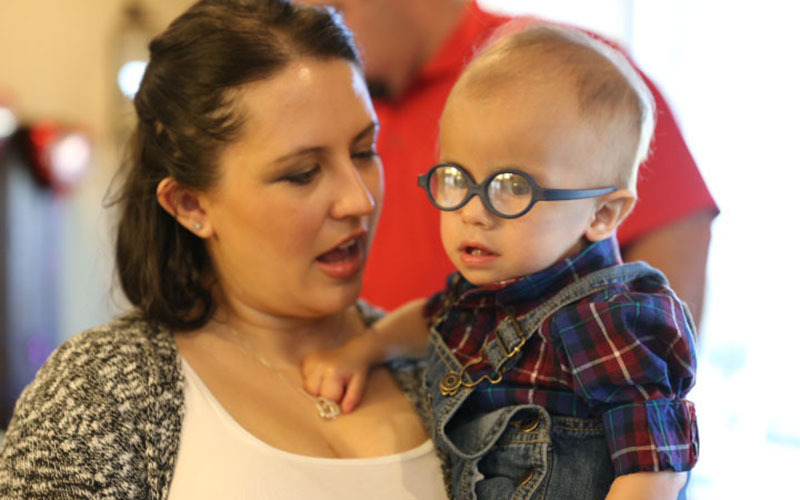 Their 18-month-old son, Anthony, was born with a rare condition that caused the position of his major heart arteries to be reversed, coupled with holes in his heart, which meant his blood couldn’t deliver enough oxygen to the rest of his body. 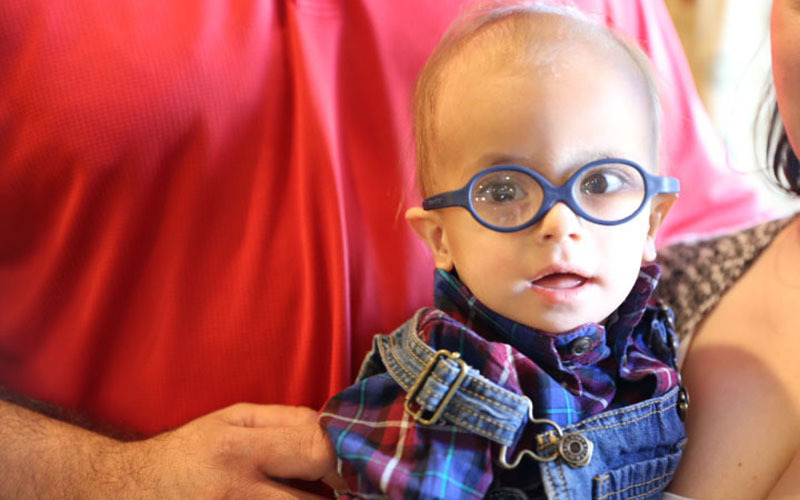 His hospital stay following his birth, including a successful heart transplant, cost about $2.5 million. All of Anthony’s care and treatment was covered by insurance provided through Laura’s employment as a dental assistant, but she says they might switch to Obamacare if Anthony’s condition worsens and Laura has to quit her job to take care of him full time. 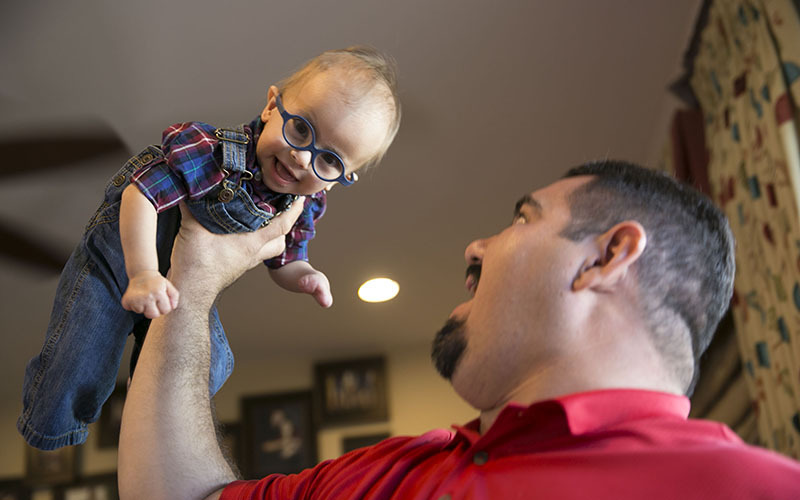 Anthony will need another heart transplant in his lifetime and his immune system is weakened by his condition, meaning the Gomez family has not seen the end of their steep medical bills. 2. Is the marketplace the only way someone can be insured through Obamacare? No. The Affordable Care Act also expanded Medicaid, the government’s health insurance for poor Americans, by providing more funding to states who chose to expand their programs. Arizona did so, and subsequently increased the income bracket for Medicaid eligibility in Arizona. The Republican House bill proposes to freeze the Medicaid expansion starting in 2020, meaning no new patients could sign up after that point. 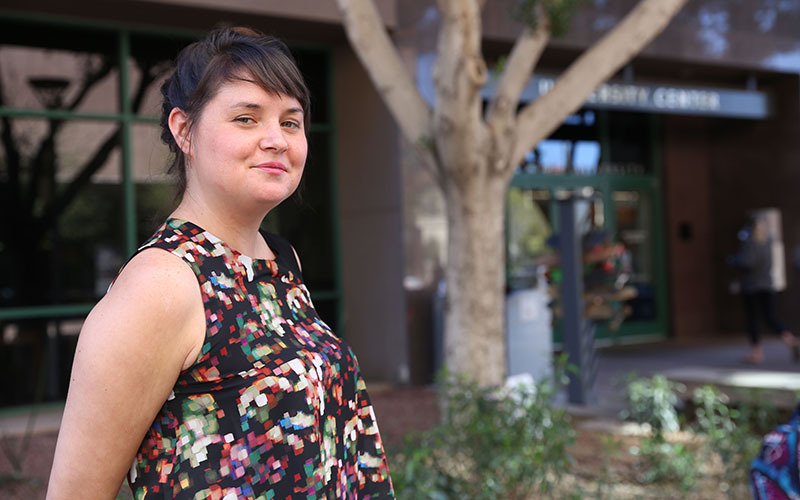 Jamie Willett, 31, is a graduate student at Arizona State University working toward her Master’s in social work. She gets her health care through AHCCCS, because she’s too old to get insurance through her parents and it’s difficult for her to afford health insurance while she’s in school, she said. Willett, who hopes to help people with mental illnesses during her career, said she was also diagnosed with anxiety and depression. Her insurance through AHCCCS pays entirely for her weekly counseling appointments, group therapy, and medications which help her continue her schooling and work, she said. She said she’s worried changes to the Affordable Care Act’s Medicaid provisions could leave health care out of reach for people like her. She said she hopes lawmakers recognize that people with similar conditions could be impacted by the replacement law. “Do not repeal the ACA without adequate replacement and educate yourselves on mental health,” she said. 3. How has Arizona fared under this law? 4. What about the cost of insurance? According to projections from an October 2016 HHS report, Arizona’s health insurance premiums in the Healthcare.gov marketplace have skyrocketed in 2017. The report estimates the cost for an example plan — in this case, the second-lowest tier plan for a 27-year-old — increased 116 percent between 2016 and 2017, the highest percent increase in the country. The federal tax credits are designed to rise in relation to premium costs and will likely offset this price increase for many low-income Arizonans who purchased health care through the exchange. If they do not meet the income requirements for receiving government subsidies, though, individuals will have to pay for this increase out of pocket. 5. Why did this happen? Arizona’s premium increases show the effects of what’s called the adverse selection death spiral, said Marjorie Baldwin, a health economics professor at Arizona State University’s W. P. Carey School of Business. Each year, this cycle repeated as healthy people were squeezed out of the health care exchange as insurance companies kept raising prices to cover their losses, Baldwin said. Arizona was hit particularly hard, in part, because of its high Hispanic population, said Naomi Lopez Bauman, director of health care policy at the conservative Goldwater Institute. “Hispanics tend to be younger and healthier so when you’re asking them to buy a product they didn’t have before and it’s going to be very expensive for them, there’s no value for them,” she said. Additionally, Arizona has seen several health insurance providers leave the state’s Healthcare.gov marketplace, leaving all but one of Arizona’s counties with one insurance provider option. Pima County has two insurer choices in the marketplace. Pinal County narrowly avoided being the first county in the U.S. to have no health insurance providers willing to offer coverage through the marketplace when Blue Cross Blue Shield announced in September 2016 that it would stay.